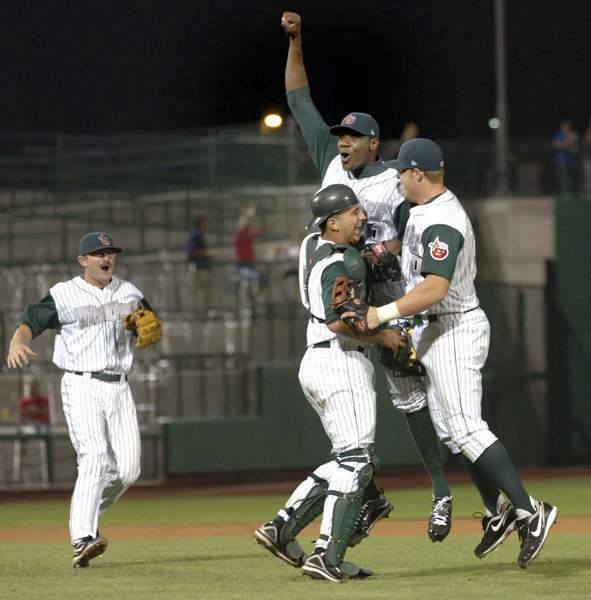 Sept. 14, 2009: Robert Lara walk-off sends TinCaps to title series TinCaps catcher Robert Lara snapped an 0-for-15 streak with a 10th-inning homer, clinching the Eastern Division Championship Series. 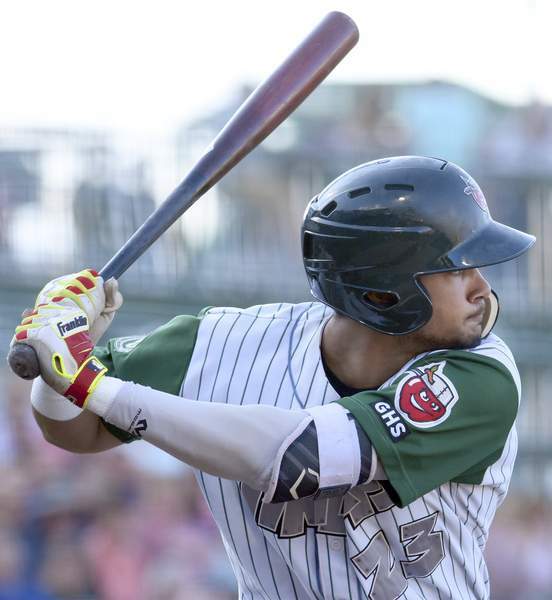 Aug. 12, 2017: Fernando Tatis Jr. sets team HR mark In just his 111th game of the season, Fernando Tatis Jr. hit his 21st home run, breaking Jake Patterson’s team record of 20, set in 1997. May 11, 2017: Trevor Hoffman visits Fort Wayne Trevor Hoffman will be enshrined in the Baseball Hall of Fame this year. In 2017, he visited Parkview Field to sign autographs. 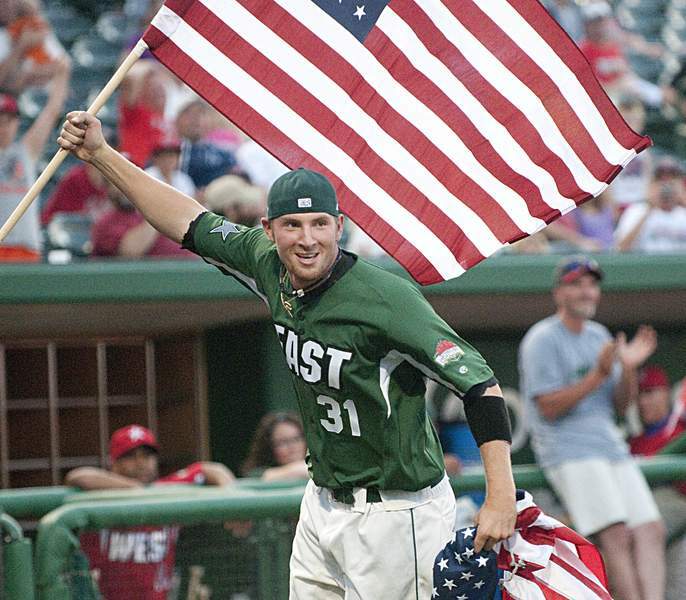 June 22, 2010: Midwest League All-Star Game in Fort Wayne Parkview Field hosted the All-Star Game and Home Run Derby in its second season. The Eastern Division won in front of over 6,000 fans. File photos April 16, 2009: Fort Wayne TinCaps’ first game at Parkview Field The TinCaps won the inaugural game at the stadium 7-0 over the Dayton Dragons in front of 8,208 fans. 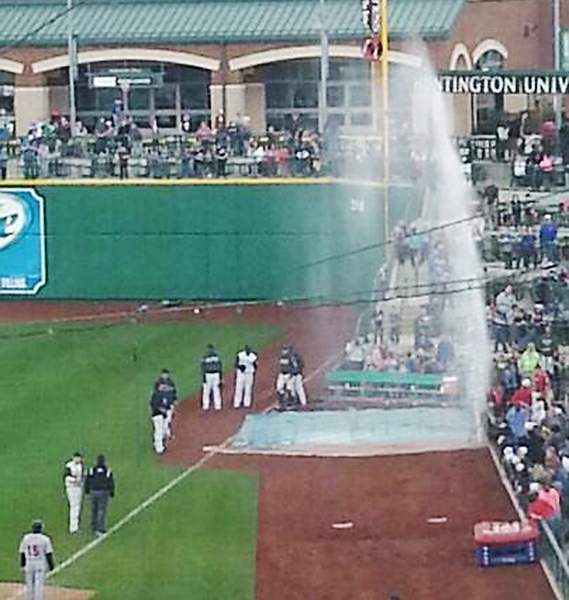 April 30, 2014: 18-minute geyser delay As he chased a foul ball, Fernando Perez stepped on and broke a sprinkler in the right-field bullpen, shooting water nearly 20 feet into the air. Aug. 18, 2009: Simon Castro pitches no-hitter It was the second game of a doubleheader, so Simon Castro had to pitch only seven innings for first, and only, no-hitter in franchise history. 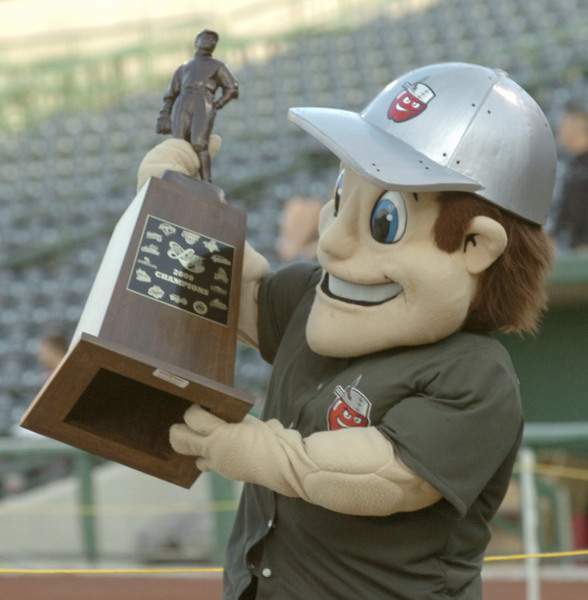 Sept. 18, 2009: Johnny TinCap with Midwest League title trophy TinCaps capped inaugural season with Midwest League title and celebrated the next night with more 2,000 fans at Parkview Field. July 31, 2017: Michel Baez strikes out Parkview Field-record 14 Michel Baez threw 77 of his 100 pitches for strikes and came within one of LaTroy Hawkins’ franchise record of 15 strikeouts, set in 1993. On April 16, 2009, Fort Wayne's Air National Guard flew two F-16 fighter jets over Parkview Field just before the first baseball game ever played at the ballpark. Nearly nine years later, as the TinCaps get set to begin their 10th season at one of the top minor league ballparks in the country, team President Mike Nutter can still hear those planes in his mind. The 10th season for the TinCaps at Parkview Field begins Saturday, when the team takes on the Lake County Captains at 6:05 p.m. 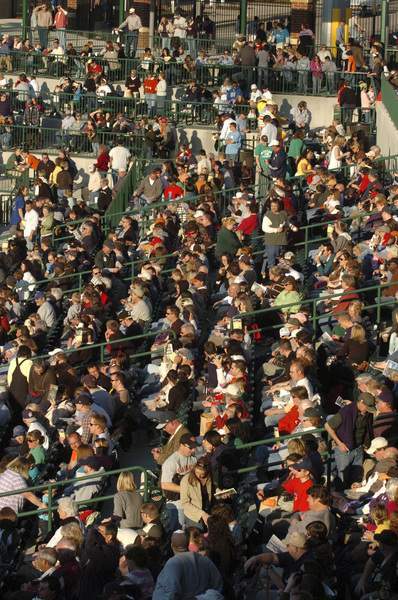 Since it opened in 2009, the more than $30 million stadium has drawn in excess of 3 million fans for TinCaps games and a million more for special events. It has been Stadium Journey's top minor league ballpark in the U.S. four straight years. 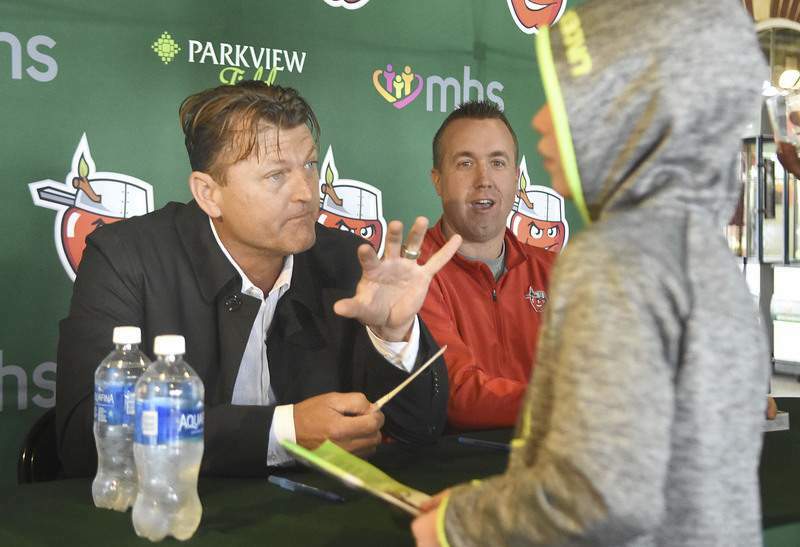 Nolan's favorite moment came early in his career as the voice of the TinCaps. He took over for Mike Cousins in midseason 2014, and on Aug. 8 of that year, the team rallied from eight runs down in the seventh inning to win 12-11 in 10 innings. Fernando Perez tied the game with a grand slam and current Washington National Trea Turner provided a walk-off single. 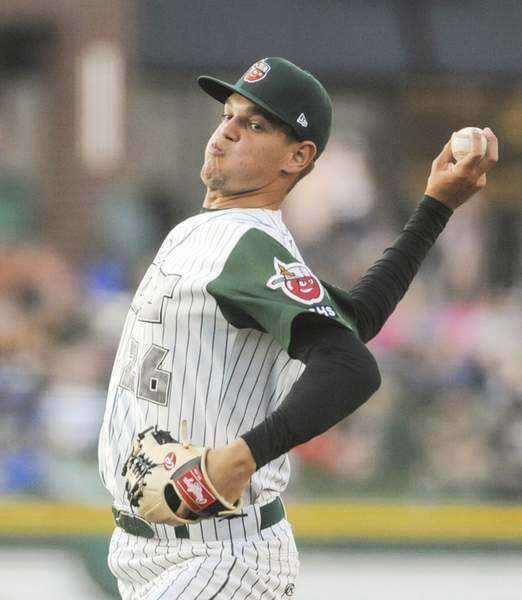 “To me, it was a loud as I've heard the ballpark ever during the excitement of that comeback,” said Nolan, who joined the TinCaps in 2013. That late rally, which unfolded in front of a sellout crowd of more than 8,000 fans, gets an honorable mention slot on the list of the top 10 baseball moments at Parkview Field.